Tough workout but really good!! Pure barre is phenomenal, and Jane is one of the best instructors. She somehow manages to keep an eye on everyone’s form- even with a full class of 15+ people. Super helpful, encouraging, and man does she know how to work your abs! Cheryl was an excellent and energetic instructor! Her instructions were helpful and informative in making adjustments. I loved the other class I took at this studio, but this instruction was a little more hands off than I usually like for Pure Barre. Workout was fun and challenging, I’ve never tried anything like this before. Really glad I took a class. Time went by and I haven’t even noticed because I was having so much fun. Instructor came around and corrected me and everyone else in that class. Definitely recommend ???????? Amazing. Instructor was encouraging and upbeat. 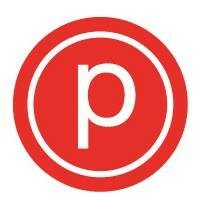 Pure barre remains one of my fave workouts! Amazing teachers and classmates! Cheryl is one of my favorite PB instructors!!! Taylor provides excellent feedback and adjustments. Great class.